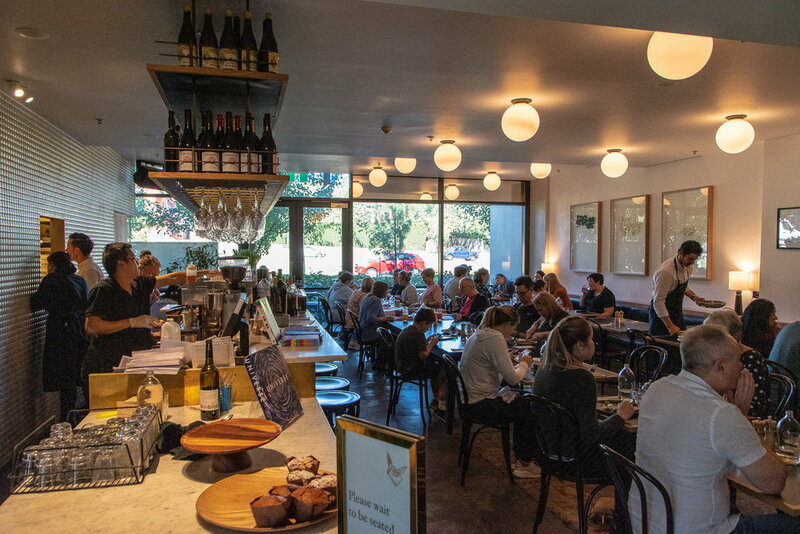 Set within a bookstore selling a wonderfully curated selection of new and second hand books, Muse serves food from dawn into the night. We loved visiting for breakfast every morning during our stay at the East Hotel. Muse serves up a stunning breakfast menu with an exciting selection of food options to suit everyone. For the coffee-enthusiasts, there is much to love – the coffee is poured by adept baristas and is frankly brilliant. For something truly decadent, we recommend the baked soufflé. This is sheer pleasure on a plate – Think cloth-wrapped aged Tasmanian Ashgrove cheddar interlaced with shavings of double-smoked ham in the form of a fluffy airy, cheesy souffle. Just yum! 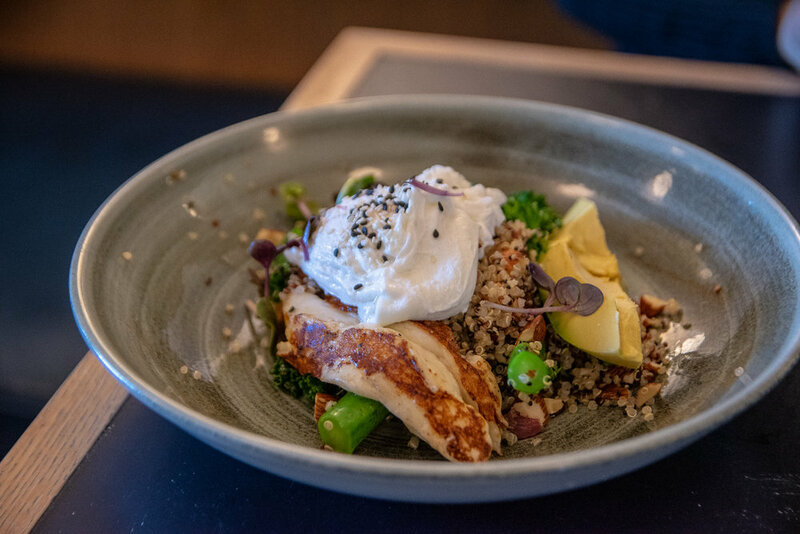 For something healthy and fresh, the Green Bowl is a wonderful option - A delicious amalgamation of sautéed broccolini, kale, avocado, white quinoa, haloumi and toasted almonds topped with a poached egg encasing a dripping yolk. This is one nutrient dense dish that doesn’t compromise on flavour. 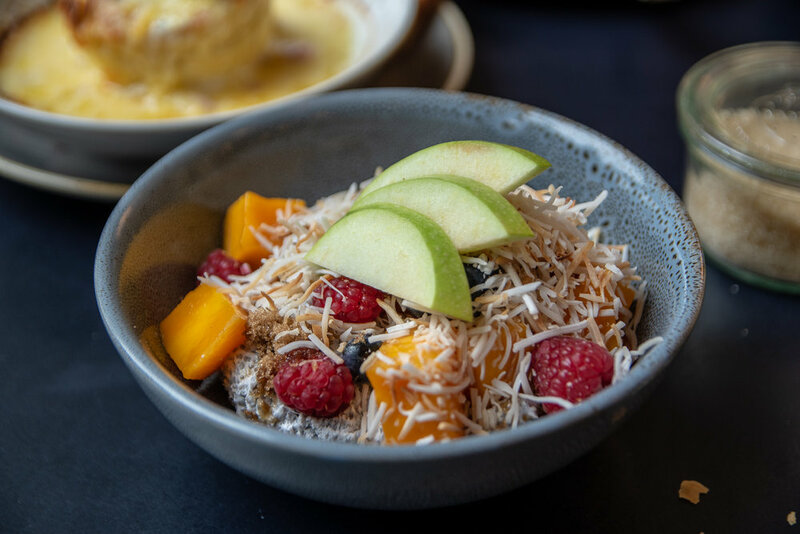 For the sweet tooth, do not go past the Coconut and Mango Chia Pudding. We loved the luxurious texture of the pudding which was topped with fresh raspberries and crispy toasted coconut. Great coffee, great food, great service. Muse is definitely one story with a happy ending.